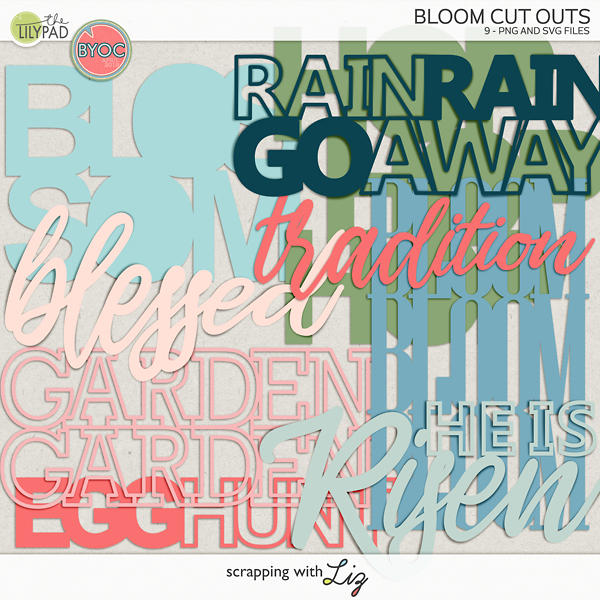 Scrapping with Liz: Bleed, Guides & Printing: What's it all about? 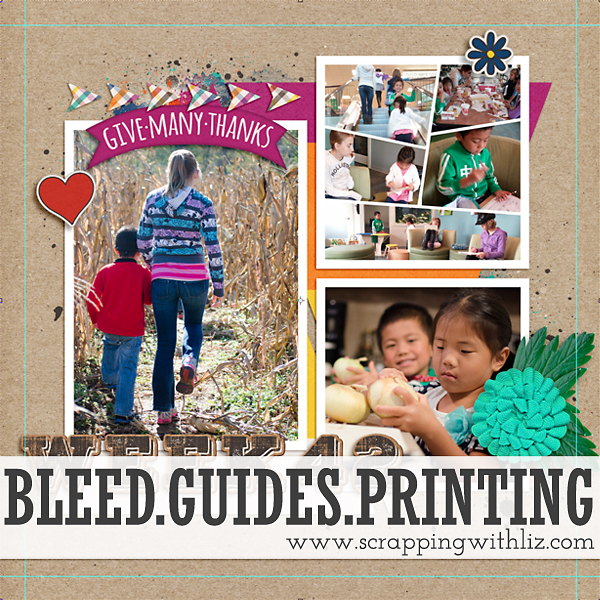 Bleed, Guides & Printing: What's it all about? When I add my layout to Shutterfly, is Shutterfly showing me exactly how my page will look when printed (meaning the bleed/cropping has already occurred)? 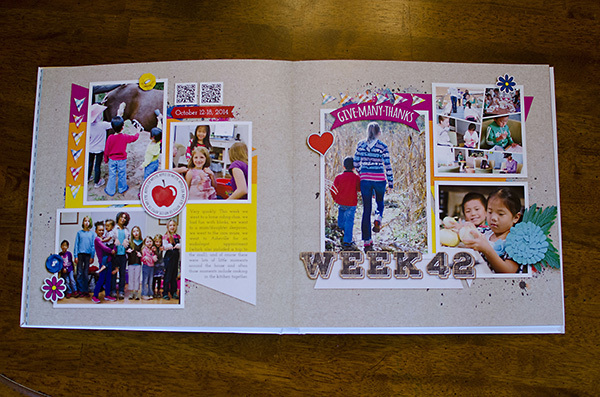 I was curious, and I really wanted to know how my finished digital scrapbook paged looked like compared to uploading it to the Shutterfly website and then finally what it look like printed. So here are some images for you all. 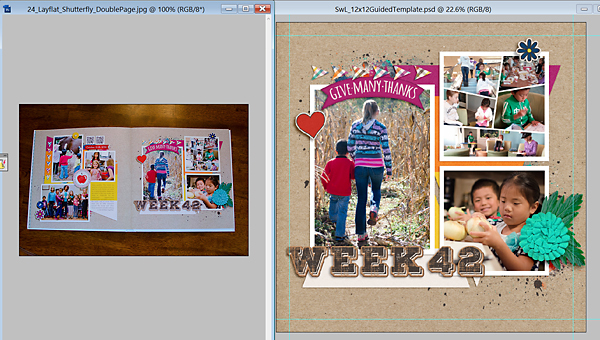 The above image shows what the image looks like with the guides in photoshop. The below images is the above image next to the printed page. You can see where the guides are and what got cropped off in printing. *ahem* I did not use guides on this page to double check it. If I would have I probably would have made that flower and leaf a little smaller and moved it over a bit. Use your guides, people! Here's a close up of the printed page. And finally here is what Shutterfly shows when I upload it. You can see that it shows the crop, although not exact with what got printed. Bleed is a printing term that refers to printing that goes beyond the edge of the sheet before trimming. In other words, the bleed is the area to be trimmed off. The bleed is the part on the side of a document that gives the printer a small amount of space to account for movement of the paper, and design inconsistencies. Artwork and background colors can extend into the bleed area. After trimming, the bleed ensures that no unprinted edges occur in the final trimmed document. It is very difficult to print exactly to the edge of a sheet of paper/card so, to achieve this, it is necessary to print a slightly larger area than is needed and then trim the paper/card down to the required finished size. 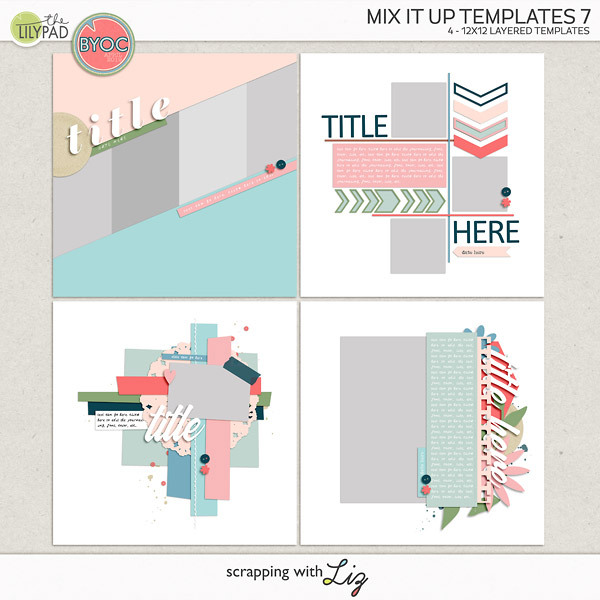 Images, background images and fills which are intended to extend to the edge of the page must be extended beyond the trim line to give a bleed. If I want a picture to be at the edge of my layout, how do I know where the edge will actually be? If I am using your guides, is it certain that when I put a photo right up to the guide that that will be the very edge of my layout in the layflat book? Unfortunately there is no way to make sure to line it up exactly. You can get close, but there's no exact science. The guides will help you get close, but there's no guarantee. I sure hope this helps! Thanks for this info, very helpful. One question...typically, what dimensions should one use on a 12x12 layout to make sure we stay inside the cut lines? You'll still want to make a 12x12 page, but you'll want to make sure everything important stays at least .25 inch away and to play it safe you probably want to keep everything .5 inches from the sides. Hope that helps. Just an FYI: If you want to print your albums through shutterfly, they actually have their own template guides that you can download for their various book sizes. They also include guides for their covers and spines. I wound up doing 4 albums before finding this out (I used Liz's template guides). I'll be making my 5th one with their own guides. It will be very interesting to see the difference, if any. One of my biggest concerns is for resizing my 12x12 to an 8x8. I know that my font size will change so wondered if you have a tutorial on this? I have some sample images of different size albums here. http://www.scrappingwithliz.com/search?q=10x10+album I have printed an 8x8 album using 12x12 templates and the journaling was readable. It didn’t seem to be an issue with me. I just asked my team members what they thought of printing 8x8 from a 12x12. I’ll let you know what they think. Many of my team members frequently print in 8x8 size. They say that font size 12 is fine. Another member said if you can read the 600x600 size layout, usually uploaded in online galleries, than you should be fine printing 8x8 size.